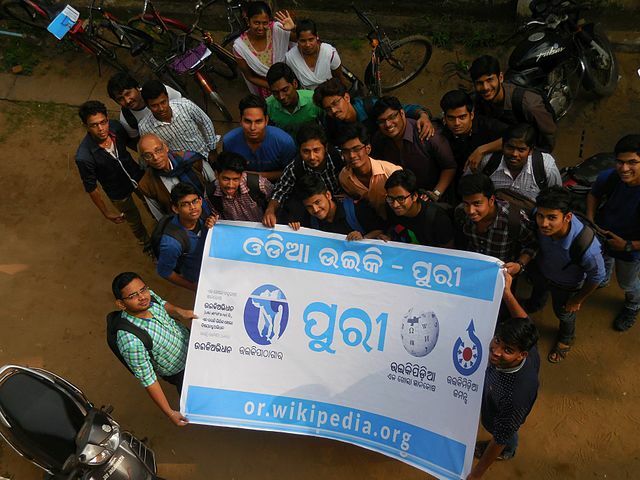 PURI—Jan.16, 2016—The WikiTungi Puri, an informal group of Wikimedians based in Puri, Odisha, are organising an Wikipedia edit-a-thon in the town to improve the science and technology related articles on Odia Wikipedia. A group of about 15 Wikimedians are gathering at the hotel Janaki Residency in Badadanda, Puri. The event will start at 11 and will continue for the whole day until 5 in the evening. This 15th, Wikipedia turned 15 and we see there is a huge gap of science and technology related articles on Odia Wikipedia. So we decided to for this sprint where all of us will contribute in translating articles related to science and technology-related articles from English Wikipedia, finding information on the web, and create Odia Wikipedia articles”, says Snehasish Nayak a lead organiser of the event. Kailash ch Tikiatray from Odisha Sahitya Academy will be inaugurating the event while Shankar Parida, Ex-Chairman of Odia Bhasha Bikas Samiti, Puri and Bipin Bihari Dalei, Editor, Tikitara Patrika (children’s magazine) will be joining as guests for this event. The event is being organised by the WikiTungi Puri and supported by the larger Odia Wikimedia community and the Centre for Internet and Soceiety’s Access to Knowledge programme. The Wikimedians are also visiting Puri Gajapati Dibyasingha Deba’s office to discuss about digitisation of old and valuable manuscripts. The Odia Wikipedia is one among the Wikipedia projects that is available in over 290 world languages including over 20 Indian languages. Started in 2001, the English Wikipedia recently completed 15 years. Odia Wikipedia was started a year after English Wikipedia as one of the first four Indian language Wikipedia projects along with Assamese, Malayalam and Punjabi. It is available at or.wikipedia.org. With over 25 active volunteer editors adding more and more encyclopedic articles in Odia almost doubled recently by the addition of the new members from Puri in the community. Dr. Subas Chandra Rout, a retired specialist doctor and active Wikimedian elaborates more about the new editors, “I have never seen such enthusiastic youth before. If more such people join us, Odia Wikipedia could easily cross all other language Wikipedia projects.” Dr. Rout is one of the few resource persons for the edit-a-thon who would be facilitating the event helping the new editors learn about creating and editing Wikipedia articles.